Last month one Florida teen was killed and five others were injured when their small boat ran into a bridge on the Middle River near Ft. Lauderdale. The accident happened around midnight and it was immediately obvious that darkness was the likely cause. The teens were all experienced boaters who were very familiar with the area, but “it was just dark, you know” said one of their friends. “It’s tough.” Sadly, this tragedy probably would never have happened if the teens had not been on the water at night. Don’t boat at night unless you know how to read red, green and white navigation lights. If you see only a red light that means the other captain has the right of way. Seeing both a red and green light together means your boat is heading directly toward the other boat and you should alter course. Seeing a white light indicates that the other boat is moving away from you. Take it slow and easy as everything will be hard to see and you may not be able see what is coming at you until you are nearly on top of it. Stay focused and avoid distraction. Keep your eyes above the windshield and listen for other boats and beacons. Use high beams with care. The last thing you want to do is blind other boaters or make it hard for them to see your navigation lights. Know how to use a compass and GPS devices and use them to keep track of your location and direction. Know how to call for help if you need it. We’ll be covering this topic in detail in one of our upcoming posts and hope you will make sure to come back to our site for this very important information. Heintz & Becker is posting this information to remind everyone of the extra degree of caution required when boating in nighttime or pre-dawn conditions. 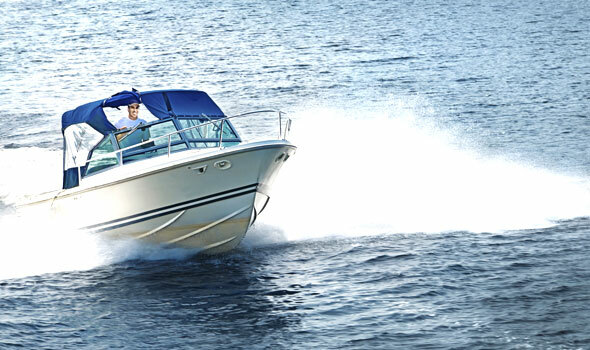 If you or a loved one has been injured in a boating accident caused by someone else, the experienced accident attorneys at Heintz & Becker are available to consult with you about your case and rights to seek financial compensation. We urge you to contact us for a free analysis of your claim.